Sometimes we need to give ourselves a little pick me up, a reminder to Do What We Love, even if that particular thing that we love seems difficult to achieve. Just recently I have been querying agents, and been getting some knock backs. This is all part of becoming a writer, in fact it’s almost like I’ve completed my first test in an initiation ceremony, up until this point I wasn’t a fully fledged member of the writing society. Once you suffer rejections you join the club. So, instead of being disappointed maybe I should view this as a positive rather than a negative step? I’ve joined the Esteemed Authors Never Give Up Club, yippee, it’s got a certain ring to it, even the likes of J.K. Rowling can claim to be a member. 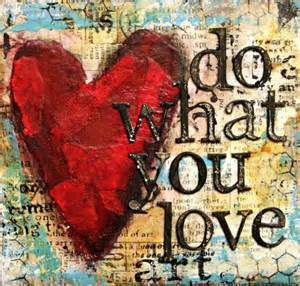 So, whatever your dream may be, remember to always Do What You Love. Somehow if you follow that simple rule I’m sure you will never go wrong. So, whether you like to sing, dance, act, write, read, draw, paint, cook, eat, travel, photograph, laugh, blog!!!! Ok, that last one crept in there without my noticing. JUST DO IT! 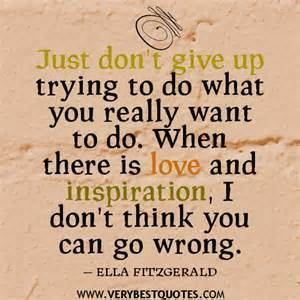 Whatever it is you love to do, keep on going….. If you need a bit of encouragement right now feel free to share the sentiments of this blog post, give yourself a pat on the back, why not? My only request is that you confess any setbacks you are currently experiencing, but remember if you really love what you do, don’t ever, ever, give up! Virginia is so right, we never stop learning, so that means we have enormous potential to keep on improving. There is an abundance of hope on the horizon, though a few rain and storm clouds are brewing too! It just struck me today that I have been a member of Cambridge Writers since June 2012. How time flies. I am so very glad that I joined and would like to encourage other budding writers to join a writer’s group. There are so many benefits of joining a Writer’s group. First of all, you meet like-minded people of varying ages from many diverse walks of life. I have found the Children’s Writing group, to be a wonderful source of support and advice. 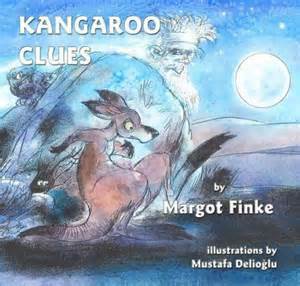 Whether you need someone to give you constructive criticism of your work, advise you on finding an agent, or explain how to structure a picture book, there are members who are happy to do what they can to help. We are lucky to have writers within the group who have either become published since joining the group, or who have come ready-made! Several new members have joined this year, one of whom, Isabel Thomas, is an experienced children’s non-fiction writer who has now started writing fiction. Alex Mellanby published the second book in the Tregarthur series, Tregarthur’s Revenge, in June. This followed excellent reviews for the first book, Tregarthur’s Promise. Lesley Hale has self-published the following books: Witness, (Matthew Reed, Tudor Adventures #1), An Act of Treason, (Matthew Reed, Tudor Adventures #2) and A Wry Smirk at The Dark Side (four short stories on supernatural themes.) 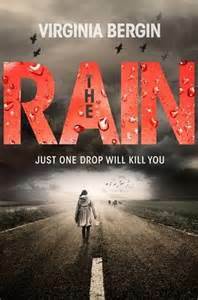 Ruth Hatfield’s first book in her trilogy was published in November by Hot Key Press (UK) and Henry Holt (US). The Book of Storms was officially launched in the UK at Heffers in Cambridge. 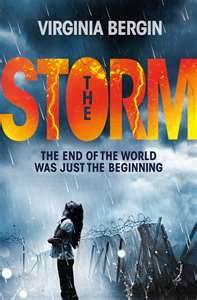 The sequel to The Book of Storms, The Colour of Darkness, is coming out in November, again published by Hot Key, Books. 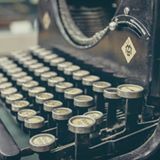 Cambridge Writers comprises these diverse groups that meet on a monthly basis in member’s houses: Short Prose, Long Prose, Travel writing, Children’s Writing, Poetry, and a Commercial Editing Group for those amongst us who have already published or self-published novels. So there are masses of ways to get involved. As well as these monthly sessions Cambridge Writers holds meetings on the first Tuesday of the month in which we invite authors to come talk to us, share their wisdom, and on the 5th of May there is to be a Writer’s resources evening. So what are you waiting for, check out the local writing groups in your area, and if you live in Cambridge, England, here’s the links to find out more: http://www.cambridgewriters.net/. I am looking forward to getting more involved in the group. To conclude my Do What You Love post I’d like to focus next on several famous authors who started later in life. How encouraging!!! This is to encourage my fellow potential late bloomers. I only started writing seriously about three years ago! Mary Alice Fontenot wrote almost thirty books in her lifetime, and her writing career began at the age of fifty-one. 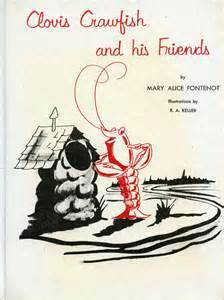 Fontenot’s first Clovis Crawfish book, Clovis Crawfish and his Friends was published in 1961. 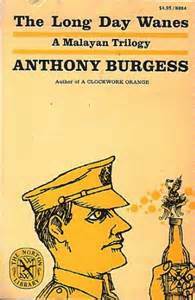 Anthony Burgess never pursued writing seriously until he was thirty-nine, aware that it was not a stable income, when he published the first installment of The Long Day Wanes: A Malayan Trilogy (1956’s Time for a Tiger). Laura Ingells Wilder. As a child, Wilder lived in a little house on the prairie, no surprise there! She actually began writing around the age of forty-four, whilst she was working as a columnist, and had a pretty successful freelance career. 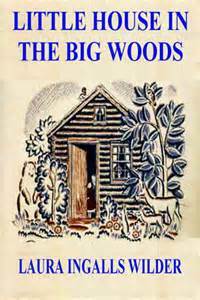 But it wasn’t until 1931, when she published Little house in The Big Woods, that Laura Ingells Wilder really made a name for herself. She was the ripe old age of sixty-four. The when I’m 64………, Beatles song lyrics come to mind. 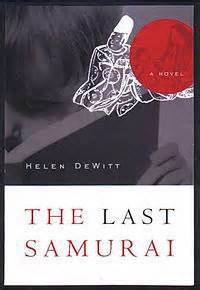 Helen De Whitt., DeWitt’s excellent debut novel, The Last Samurai, was published in 2000, when Helen De Whitt was forty-four years old. Apparently she attempted to finish many novels, before finally completing The Last Samurai, her 50th manuscript, in 1998. 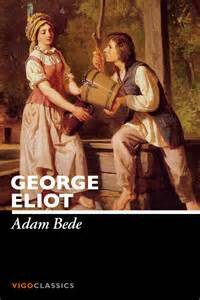 George Eliot, Mary Anne Evans, published her first novel, Adam Bede when she was forty. Middlemarch would not be published for fifteen years! Bram Stoker! 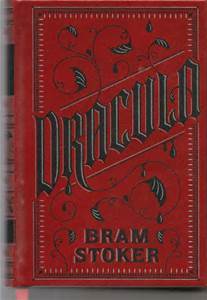 Stoker didn’t publish Dracula until he was fifty! Imagine! 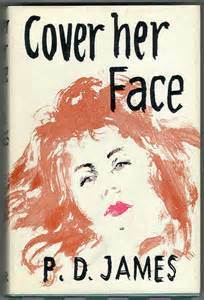 Dame P D James published her first novel, Cover her Face, in 1962 at the age of forty-two. William S. Burroughs. Sadly, it took accidentally shooting his wife in the head to get Burroughs focused on writing. In the introduction to Queer, a novel written in 1952 but not published until 1985, he stated: “I am forced to the appalling conclusion that I would never have become a writer but for Joan’s death, and to a realization of the extent to which this event has motivated and formulated my writing.” He began writing Queer while he awaited trial. He was convicted of culpable homicide, given a two-year suspended sentence and moved to Morocco and started writing like mad. 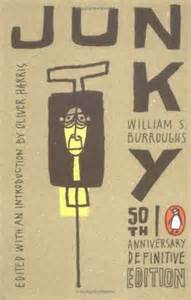 He was thirty-nine when he published his first confessional book, (Burroughs was a heroine addict.) In 1953 he published Junky, and he was forty-five when Naked Lunch was published, in 1959. 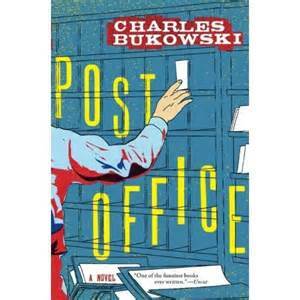 Charles Bukoski quit his day job to devote himself to writing at age forty-nine, saying, “I have one of two choices-—stay in the post office and go crazy … or stay out here and play at writer and starve. I have decided to starve.” He did not, in fact, starve. He had finished his first novel, Post Office, at fifty-one years old, within four weeks of leaving the post office and just kept going from there, eventually publishing thousands of poems, hundreds of short stories, and six novels. Mary Wesley published a few children’s books in her fifties, but people didn’t notice her talent until she published her first novel, “Jumping the Queue,” at seventy years old. 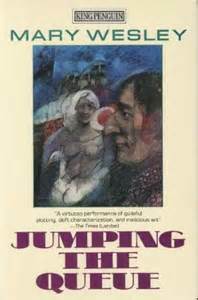 Jumping the Queue takes place mainly in Cornwall, and follows a middle-aged woman’s struggle with guilt and self-reproach after the death of her husband and her determination to jump the queue by committing suicide. The book was turned down by several publishers, but James Hale of Macmillan saw something special in her work, and by the time of her death at ninety years old, she was widely popular. 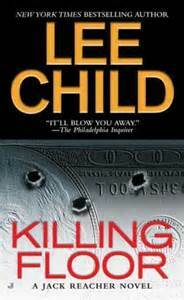 Lee Child: At the age of forty he sat down to write a book, Killing Floor, that became the first in the Jack Reacher series. The book won the Anthony and Barry Award for best first novel. 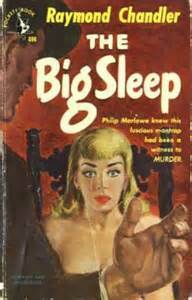 Raymond Chandler was forty-five, when he began publishing pulp crime short stories. Six years later, he published his first novel, “The Big Sleep,” which launched his stellar successful crime writing career. So, late-blooming writers are quite an amazing bunch. Don’t you agree? Just hope I might have a tiny smidgen of this late-blooming talent, still of plenty time!!!!! This entry was posted in Inspiration, Writing and Blogging and tagged Anthony Burgess, Award, Bram Stoker, Cambridge Writers, Charles Bukoski, Debut, Do What you Love, George Eliot, Helen De Whitt, Indie Writers Support, Inspiring, Late Blooming Authors, Laura Ingells Wilder, Lee Child, Margot Finke, Mary Alice Fontenot, Mary Wesley, P D James, Raymond Chandler, The Rain, The Storm, Virginia Bergin, William S. Burroughs, Womentoring. Bookmark the permalink. Yes, do not give up! I printed out my rejections letters and tacked them to my bulletin board as a reminder that the next submission may be my lucky one (think I remember reading that in Stephen King’s On Writing book). Finally, Hong Kong Treasure was accepted. Thanks Diane, will bear that in mind, though I’m not sure I’ll print out my rejections! I just think I’ll keep on hoping for some good news. It’s gone mighty quiet at the moment so here’s hoping ……..